I always like building things. Taking raw materials and putting them together into something wondrous is something that will never grow old for me. So when I’m playing video games and I’m able to create things in the game, I tend to find myself lost in that. For Fallout 4 I spent too many hours just customizing my settlements and enjoying myself. When I first saw Castle Story by Sauropod Studios, I immediately fell in love. The game promised resource gathering, base building, and the ability to defend my base form monsters that would try to destroy it. I figured, this was a game that would eat away at my time. For the most part, I was right. Let’s talk about appearance first. The game itself looks alright. Nothing about the game is visually stunning, but that isn’t a detriment to the game. If anything, the lack of over stylized design makes it easier to understand what’s going on and what all your Bricktrons are doing. 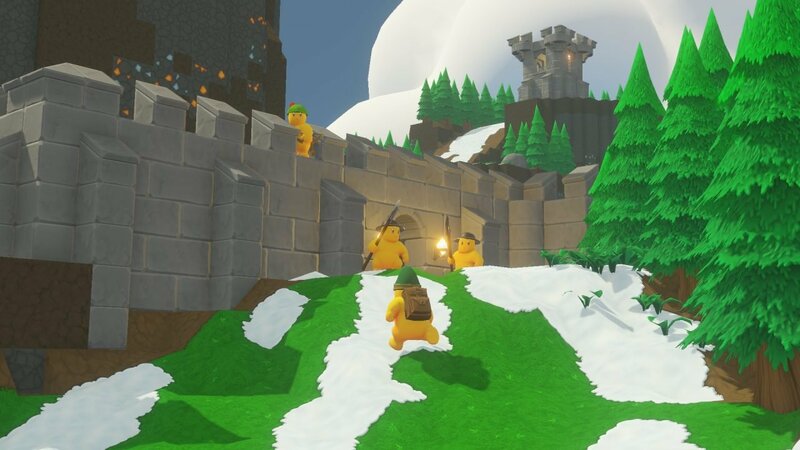 Bricktrons are the little yellow guys you see throughout the game. Their yellow blobby shape was endearing as they continuously worked, gathering resources and building up our castles. Speaking of castles, there’s nothing extraordinary about them, they look and feel like a castle should. The whole game has this playful look to it. The Bricktrons are blobby, the castles look like model toys, and the Corruptrons that you will be fighting look menacing but not deadly. The world of Castle Story follows that playful theme. Giant crystals of Brimstone and Iron can be seen dotted on the surface, every tree is a pine tree, there isn’t anything that is trying to be too realistic in this world. The pastel colors of the world really help tie the playful look and feel of the game together. The game’s music lends itself to that playful atmosphere. Nothing in the game’s sound design will be etched in time as a classic. The tracks that play throughout the game serve to help carry the player through the game. Sound effects are there and they serve their purposes much like the background music. There isn’t anything positive to say about the sound design but there’s nothing negative. It’s there and helps accent the playful theme; that’s all. That playful feeling extends to the gameplay of Castle Story. If there’s one thing I felt when playing this game, I felt like a child playing with my blocks and action figures again. The act of building up my castle and then having to defend it from monsters that were trying to destroy it felt just like my childhood memories. Playing the game however, was not as simple as my childhood pastime. For starters, the game is missing a proper tutorial. Normally I’d be okay with that. Figuring out a game and how to do things is not something I’m against. But in this game, I needed to seek some sort of instruction. The game has an in-game manual of sorts that attempts to teach you how to play but the game doesn’t pause of even disable your controls while you read. This leads to wasted time and sometimes you perform actions that you didn’t intend to do while trying to read the guide. 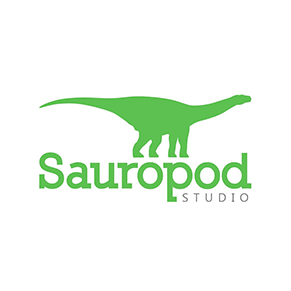 Luckily, developer Sauropod Studio has made a series of tutorial videos that can be watched online and I recommend them to anyone trying to learn this game. Once I knew how to play the game, I found something that was a cross between a single player RTS and a building game like Minecraft. Controlling my Bricktrons was like issuing orders for my units. I’d assign tasks to do and they would continue to do them until they dropped. Controlling the camera and observing the world felt very much like an RTS. However, once I had my resources and settled down to build my castle, the game felt different. I suddenly cared about the design of my structures. Would this block be in the way of a sight line? Was this wall built improperly? There was one point where I had built a wall just by stacking my bricks on top of one another and the whole thing came crashing down once the bottom brick was destroyed. No matter how much time I spent gathering resources and building my castles, I was okay when I ended up losing. Normally in a game like this, the player should be raring to go, ready to hop back in and try again; I didn’t. I was okay with putting the game down for the night and coming back later. With the way the game is, that seems to be a perfectly acceptable way to play. 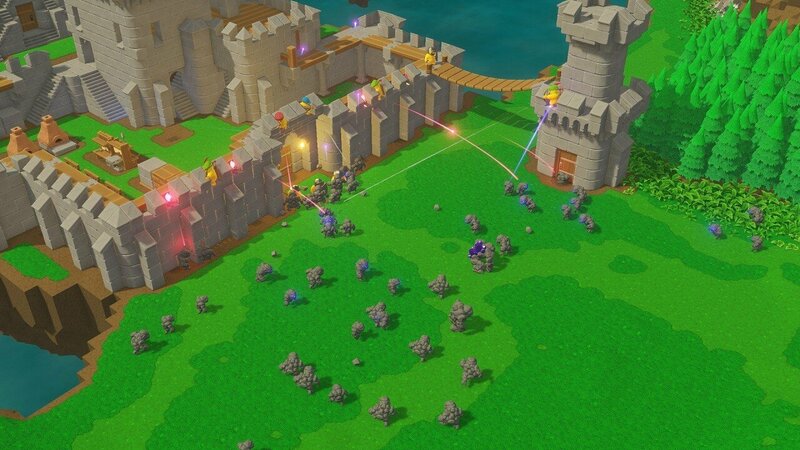 Castle Story has Steam Workshop support for players to create their own levels and scenarios. This means that walking away from the game for a bit could result in new levels to play. Castle Story is far from the perfect game. It has no story, a steep learning curve, and it lacks any progression to keep me playing. What it does have is something that could keep me entertained for a few hours. I don’t know if I’ll find myself coming back to the game without a substantial update. For right now, it’s nothing that I would rush out and get; maybe wait for a sale. Castle Story is a fun game but it does nothing revolutionary for the genre. Wait for a sale to grab it.